Data entry is a tough job, and gets even harder when it comes to processing large volumes of raw data or text from the image files. 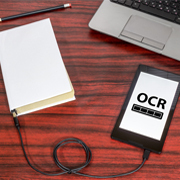 Increased demand for faster data entry has propelled the use of optical character recognition (OCR), as it can efficiently capture data from images in Unicode or ASCII formats at a swift pace. However, occasionally, errors peep in during the OCR process, and OCR cleanup is done to rectify those errors and bring in accuracy. Outsource2india (O2I) has been using advanced technology and highly experienced professionals to deliver accurate OCR and OCR cleanup services for over 20 years to our global customers. If your organization is looking for a reliable and cost-effective OCR and ICR cleanup services partner, then your search ends at Outsource2india. Outsource2india has a track record of providing accurate OCR and ICR cleanup services. We have trained staff to handle these services. Since the vulnerability for errors is very high OCR cleanup services play a very important role. O2I's OCR cleanup services are focused to improve business potential through innovative methods. Facts are during any OCR process errors are unavoidable and OCR cleanup becomes compulsory to fetch high accuracy levels. O2I uses three simple steps to while performing an OCR cleanup. During the process of OCR cleansing, there are chances of missing out data. The OCR cleanup process is necessary to get back lost data. Further on occasions when characters are misread during OCR, errors emerge in the final product. By using OCR cleanup services these errors can be rectified files are converted to image files in ASCII and Unicode formats. Even with well-defined processes, equipment and expertise of trained resources, errors are bound to slip through during the OCR process. We ensure to rectify the errors and improve accuracy of document. The next level is when the DTP personnel compare the original documents with those from the scanned files. This can be done via a software or a more hands-on person ensures every misread character and words are corrected and replaced. The OCR cleanup is not just about text alone but includes checking and inserting the right content in case of any discrepancy in footnotes, tables, graphs, and other technical data. At Outsource2india, we handle this process manually. The cleanup advantage is the accuracy which is close to 99.95 percent which is above industry standards for operators in the market. Why Should You opt for OCR Cleanup Process? Use of our high-quality OCR cleanup services saves considerable amount of time and resources down the line, minimizes errors, and enhances the quality and usability of the data conversion process. 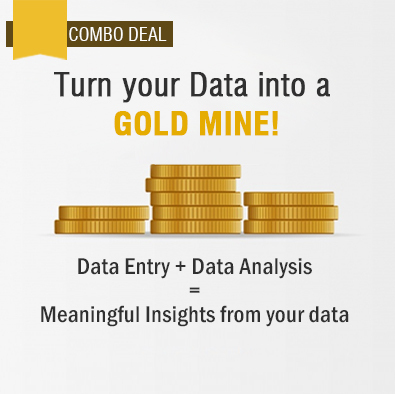 During an OCR cleanup, data comparison is carried out between original and captured data simultaneously while data entry is in progress; corrections are made and the accuracy of the data is maintained. With this exercise, lost data is retrieved and incorrect data is corrected. OCR cleanup also corrects misreading errors that might occur during OCR. Outsource2india has the required infrastructure, latest technology and software, expertise and experienced manpower to provide customers with accurate OCR cleanup services. We can capture your data and convert it to any format that you require and at the same time provide you with OCR cleanup services which can fetch you accurate data - all at highly cost-effective pricing. With these compelling factors, and our 20 years of experience in OCR cleanup services, you are assured of the best OCR services for your company. Contact us for OCR cleanup services. Contact us to experience high-quality OCR cleanup services.